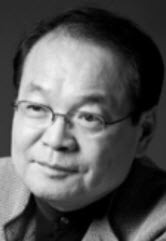 On May 21, Professor Kim Moon Hwan of the SNU Department of Aesthetics passed away at the age of 73. Having majored in Aesthetics at SNU for his undergraduate degree, Kim went on to pursue his Masters in Aesthetics in Frankfurt, Germany. Kim began teaching at SNU in 1984 and was awarded the title of Professor Emeritus after his retirement in 2010. Not only an esteemed scholar, but also a theater critic and cultural activist, Kim greatly contributed to Korean culture through his leadership in various cultural organizations such as the Korea Aesthetics Council, the Korea Performing Arts Critics Association, the Korea Academy of Theater Arts, and the Korea Culture Policy Development Institute. After more than 40 years of working as a theater critic, Professor Kim published a book titled, The Walk of Korean Modern Theater, in which he describes his reflections on Korean theater culture informed by his vast experiences. He also contributed to the 1988 Summer Olympics in Seoul by writing the lyrics for Hand in Hand, the anthem of the Games, invoking themes of world unity at a crucial moment in the history of Korea. SNU honors Professor Kim for his work and significant influence in Korean theater culture. He will be dearly missed and remembered by many.